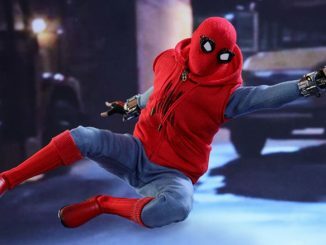 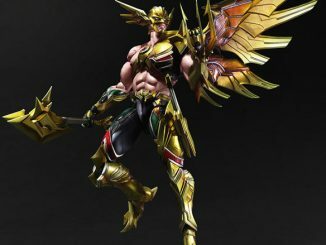 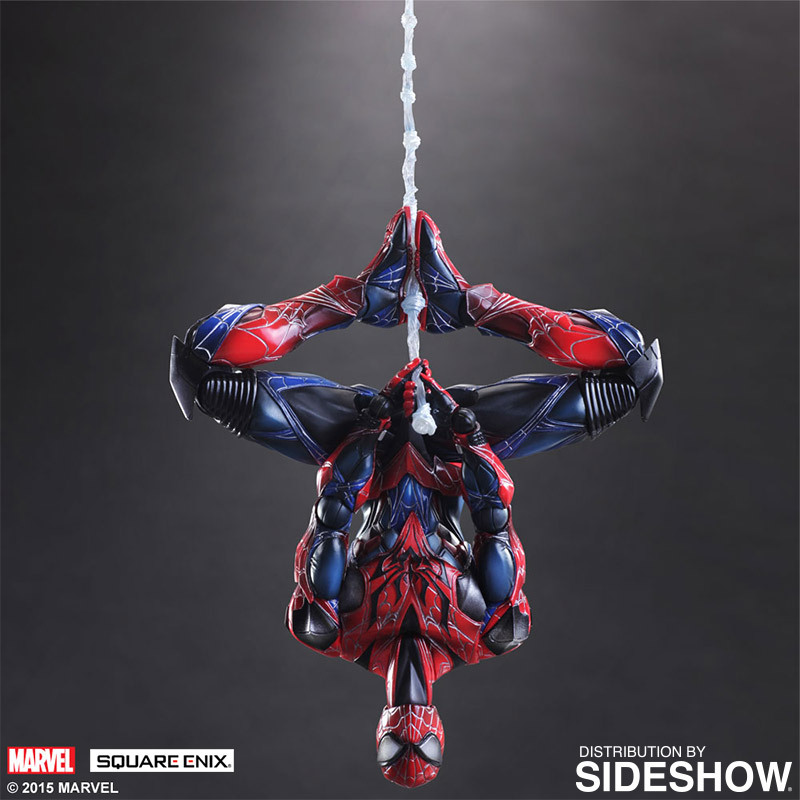 The Spider-Man Variant Square Enix Figure can do everything a Spider-Man can… and that’s pretty impressive. 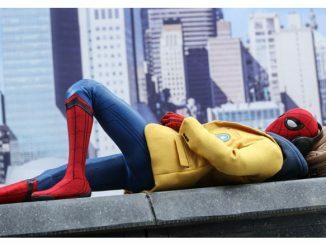 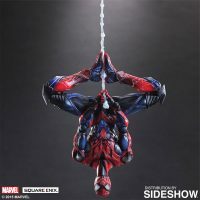 Okay, this Spidey can’t swing through a neighborhood, flirt with Gwen Stacy, or hurl insults at Jonah Jameson but it is articulated enough to get into many of Spider-Man’s iconic poses, including the classic upside-down pose that Spidey fans see on a regular basis in the comic books. 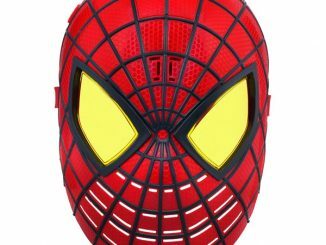 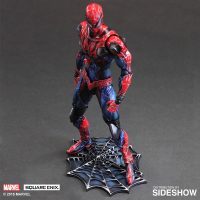 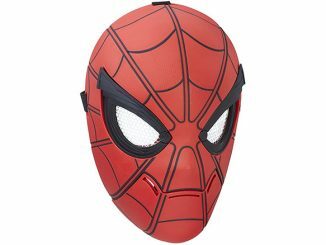 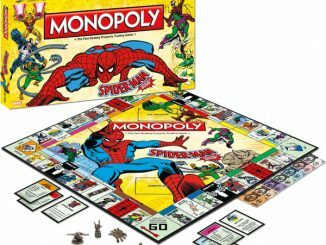 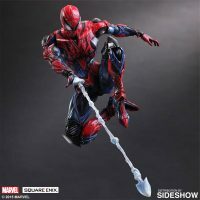 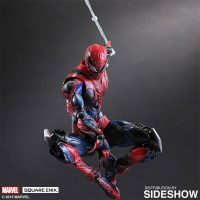 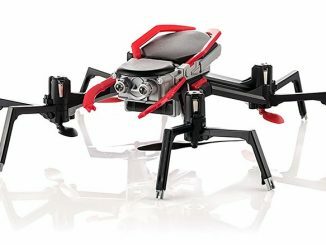 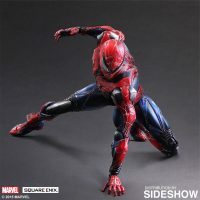 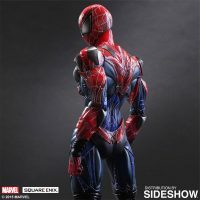 The 10-inch-tall figure is dressed in classic Spidey red and blue, with a little black added for depth. 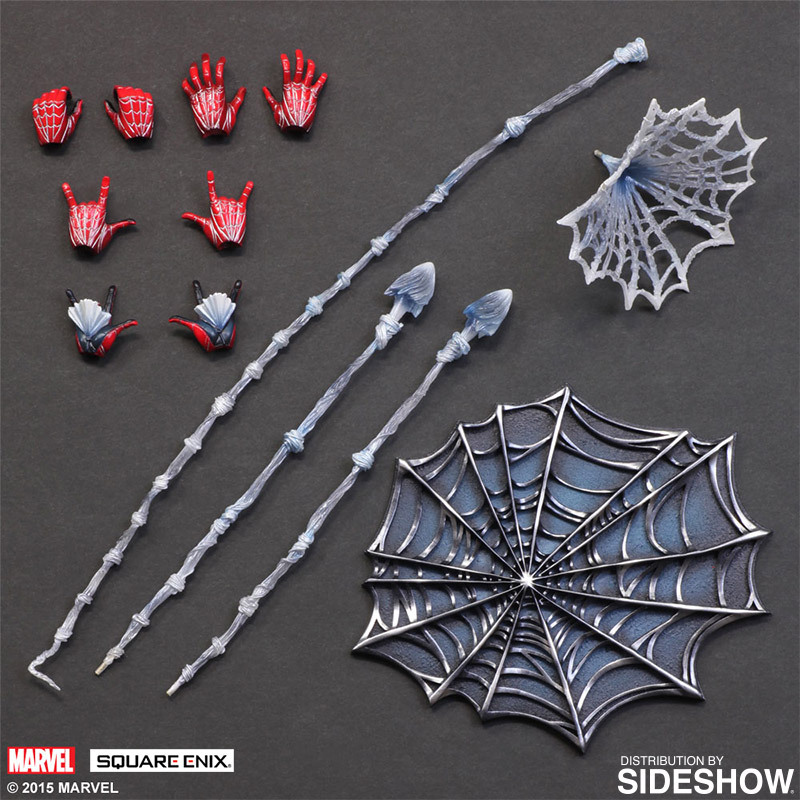 The iconic spider web design on the costume is also accentuated with a metallic sheen to make it more eye-catching. 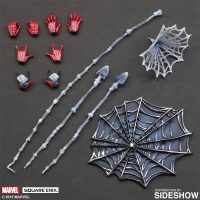 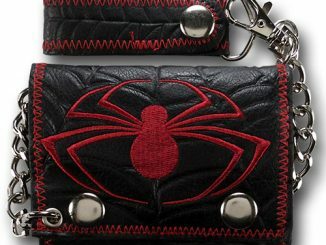 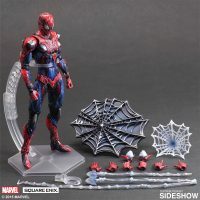 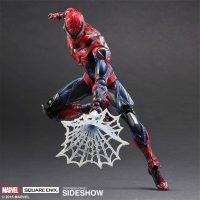 In addition to a display stand, Spider-Man also comes with numerous straight strands of translucent webbing, a net-shaped spider web, and a variety of interchangeable hands. 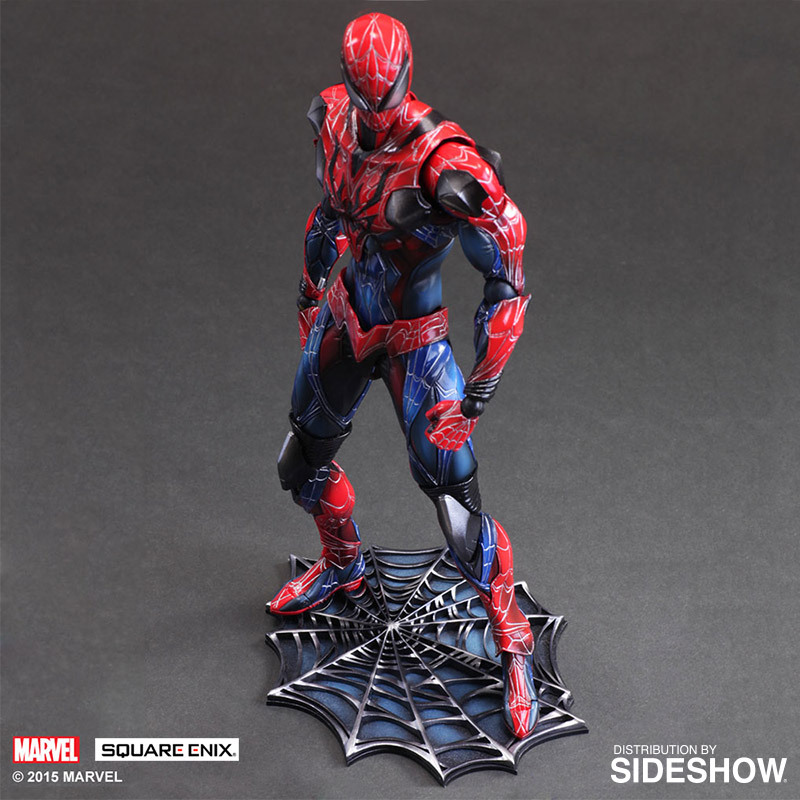 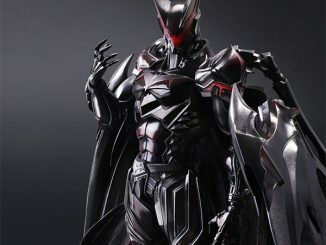 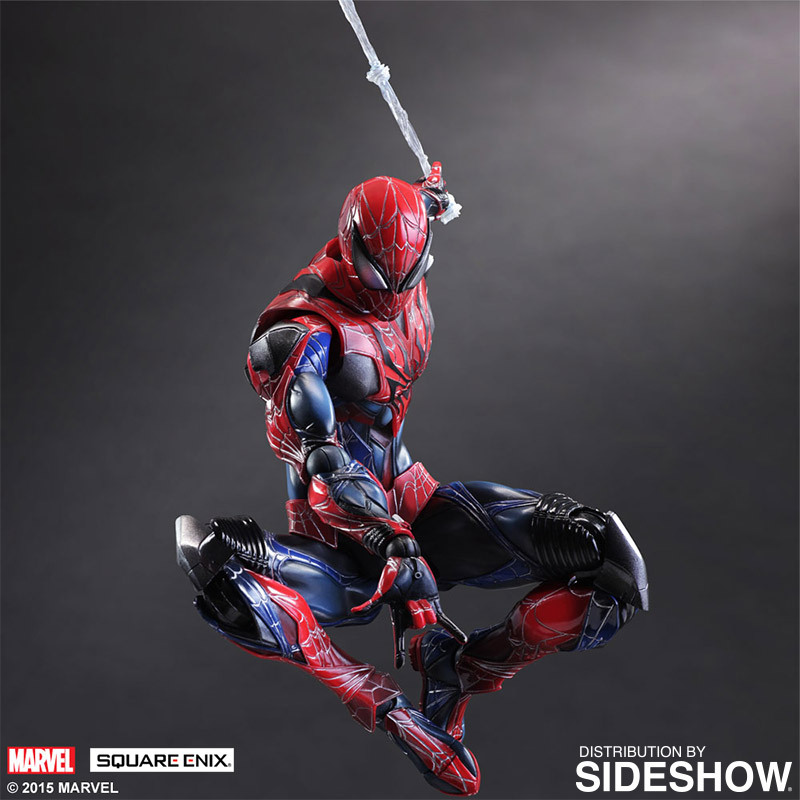 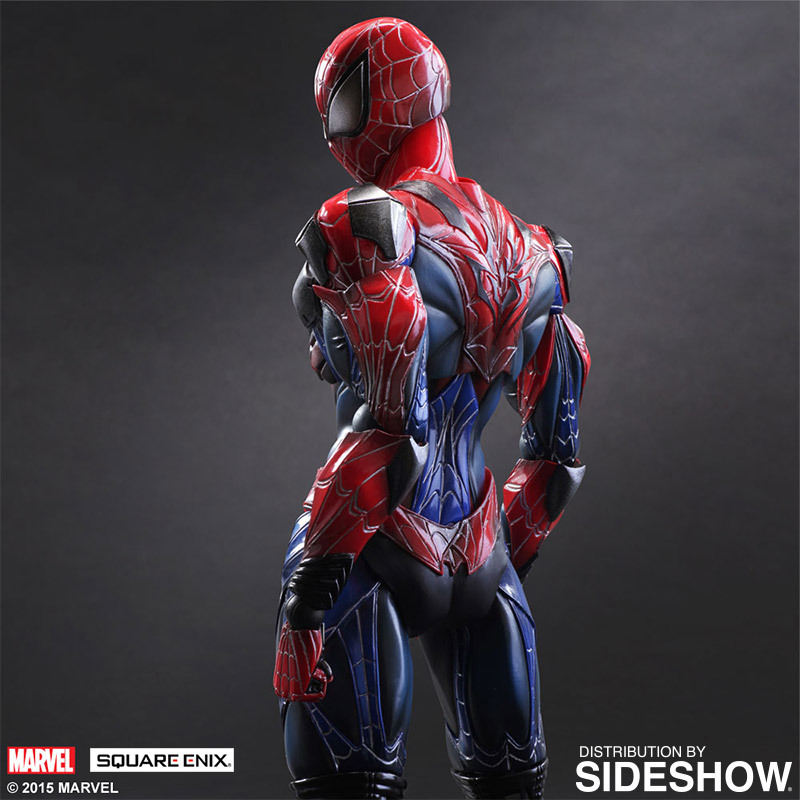 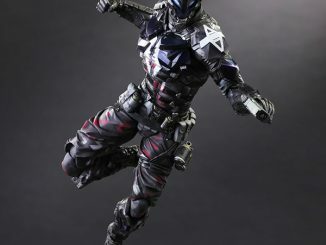 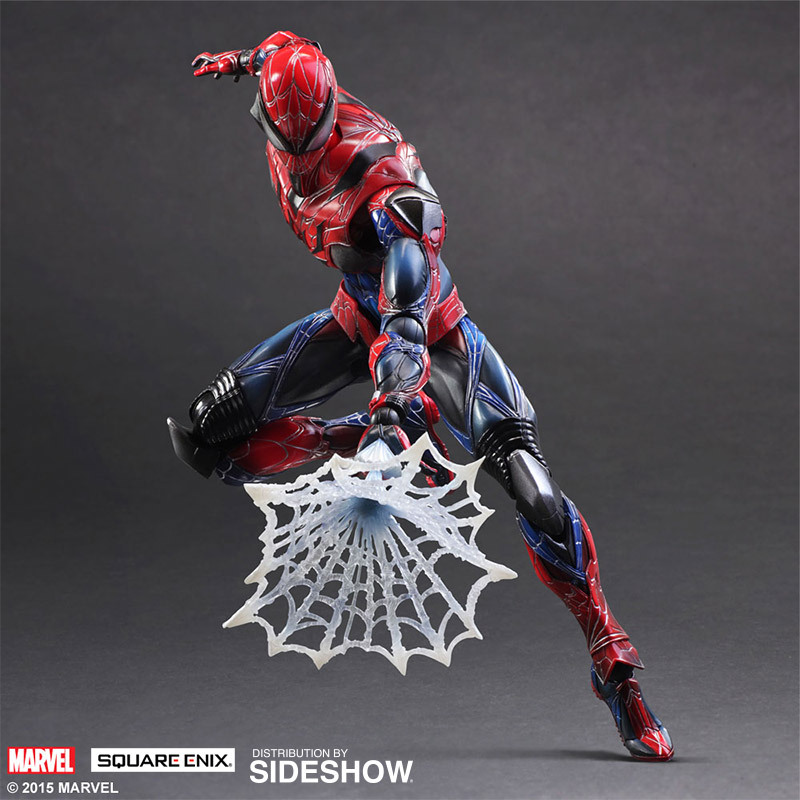 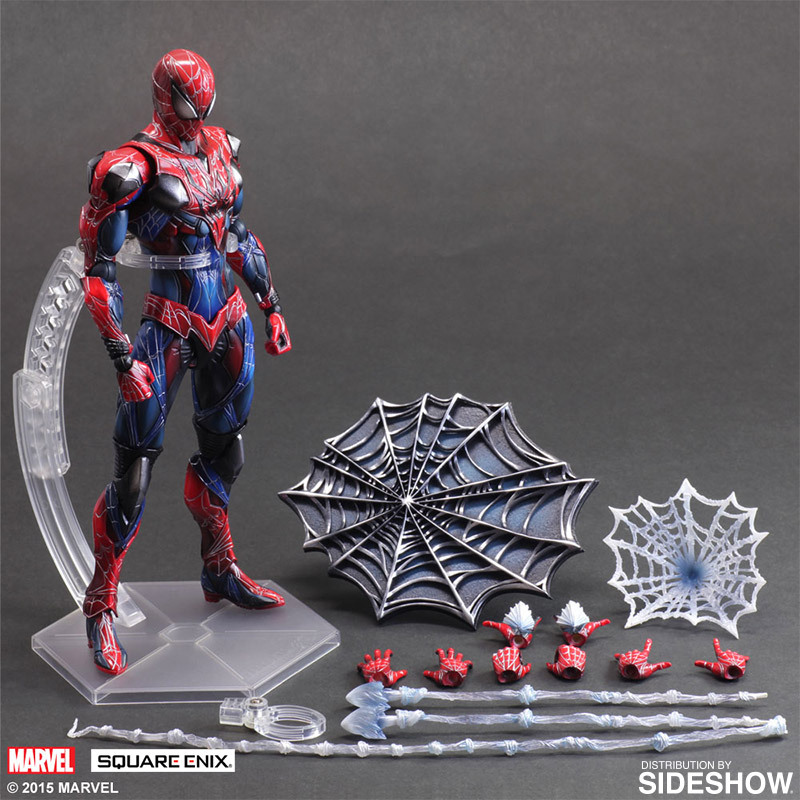 The Spider-Man Variant Square Enix Figure will be available Aug 2015 – Sep 2015 but it can be pre-ordered now for $124.99 at Sideshow Collectibles.